When thinking of wedding season, your mind may instantly transport you to long summer days and warm nights. However, do not discount the beauty of a magical winter wedding when planning your nuptials. Cosy and romantic, a ceremony in January and February is a chance to exchange vows in a winter wonderland, with crisp days and the possibility of a sprinkling of snowflakes. Of course, it doesn't hurt that prices fall in winter too, allowing you to spend more on other wedding priorities, be it a videographer to capture the stunning grounds of Hedsor or an extravagant centrepiece to give it that extra wow factor. 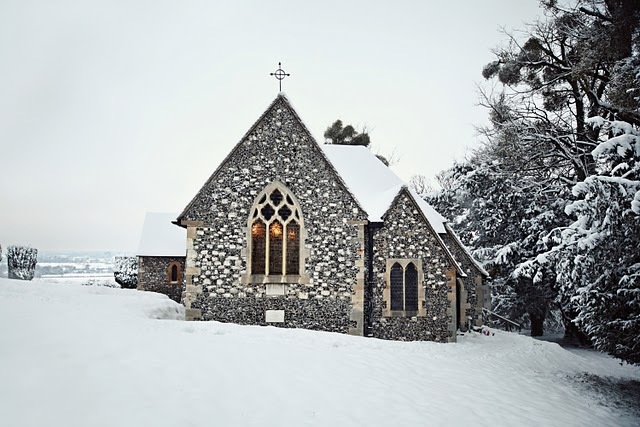 So, why are winter weddings becoming the new summer wedding? We've got six reasons why you should be choosing the cold over our unpredictable British summer. Winter has an undeniable enchanted feel about it and you can really maximise this with your chosen wedding decor, complementing the weather you get outside. When thinking of a winter wonderland wedding there are loads of different elements you can borrow to create a stunning atmosphere on your special day. Think about using crisp whites, enchanting blues and sparkle for colour inspiration. Strings of glass beads, candles in the front of the House, fairy lights around the Centre Hall balcony, and ivory flowers on pedal stools down the aisle are perfect for winter and will all help to transport you and your guests into a fairytale as soon as they step inside the house. Creating a winter wonderland doesn't have to be all about a quintessential romantic fairy tale. Cosy, hygge-themed interiors can work just as well and put your guests instantly at ease. Think about having blankets to wrap up in by the doors for guests who want to cuddle outside. Cosy interiors are also great for creating a rustic, grand atmosphere, and this is especially appropriate at Hedsor House with it's decades of regal history. Combining picturesque grounds with the historic Georgian country house, you'll be able to create an inviting atmosphere indoors to invite people in from the cold. One of the biggest benefits of a winter wedding is undoubtedly the price. If you're currently deciding between whether your budget can stretch to additional evening entertainment or a dessert table your guests will adore, switching from summer to winter could be the answer. Or, you could put your savings towards an extra few days on your honeymoon- what's not to love? At Hedsor House the Bluebell Wedding allows you to take full advantage of everything you need for the perfect day at a price you will love. In fact, in the months of January and February 2018 you can book your wedding from as little as just £17,950 including VAT for 70 guests. The package includes all the essentials (along with a few indulgent extras,) from sparkling wine for the toasts to luxury accommodation for your bridal party. Summer weddings can often be filled with angst about what the weather will be like. British summer weather is, as we all know, highly unpredictable, even if you book for the height of August. When you choose a winter wedding, your expectations are adjusted from the outset and you're mentally prepared for cold weather. You won't have to spend days being worried, or even worse, stressed about what to do if it's raining in the morning or the temperatures fall to freezing. If you genuinely love the winter season, it's just another reason to make the most of the New Year. When you're selecting menu options for a summer wedding, you often want something light. But in winter, with the cold setting in you can select hearty, delicious courses that your guests will eagerly tuck into. Mulled wine can be the perfect way to warm up guests in the winter chill and a perfect addition to your wedding celebrations. We guarantee that it'll stand out from the usual Prosecco or Champagne. If you love comfort food, like Bangers & Mash or Beef Wellington, a winter wedding is the perfect time to put your favourite dish on the menu. Choosing the dress is a pivotal moment for any Bride and a winter wedding gives you a whole host of styles and accessories to explore. Ditch the floaty beach style dress and replace it with rich textured, opulent gown that has a fairytale quality about it. Winter wedding dresses are simply breathtaking and look decadent in photographs against the cold landscape and don't even get us started on winter accessories! A dramatic snow queen style can be achieved by addingplenty of sparkling jewellery, catching the cool winter light and complementing your dress. Bold, sparkly hairpieces are ideal for the romantic feel of a winter wedding. Fur capes, whether full or half length, can give your look a dramatic, glamorous appeal too, while keeping you warm. Newer PostCould Prince Harry & Meghan Markle be tying the knot at Hedsor House and how much is it set to cost?